Thanks to all who made it out to TORCHED! Friday evening. 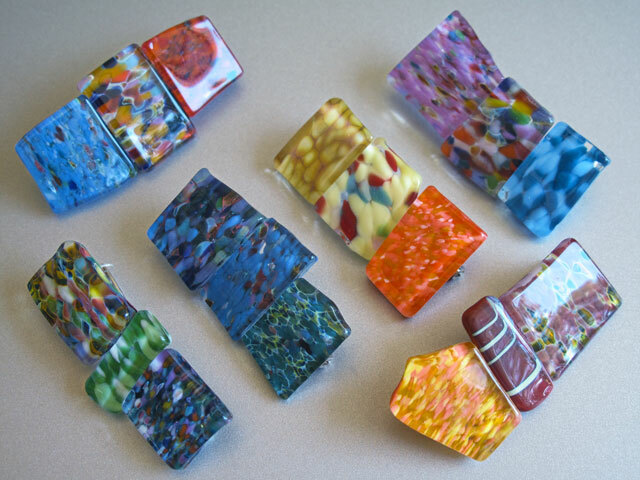 Another great Frog Hollow event is coming up soon, too: The Eye and I Glass “Create Your Own Accessory” Event. 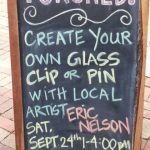 Come visit the Frog Hollow Church Street Gallery–Saturday, September 24th, 1-4pm–and meet me, Eric Nelson of Eye and I Glass! 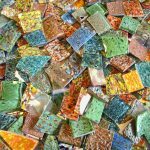 I’ll be bringing handmade mosaic glass chips down to the gallery to give customers an in-person chance to see and take part in the assembly and design process. 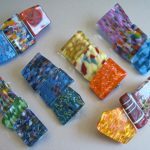 Frog Hollow will provide a mini “workshop-style” setting in the front window where you’ll be able to play with a “treasure trove” of mosaic chips to mix and match, rearrange and custom–fit to your liking a new barrette or brooch that you can truthfully say you helped to create! All necessary materials will be on-site and there’s no additional design fee beyond the retail cost of the item!